We are constantly asked what the best mesh banner stock is for mesh fence panels & fence mesh banners. 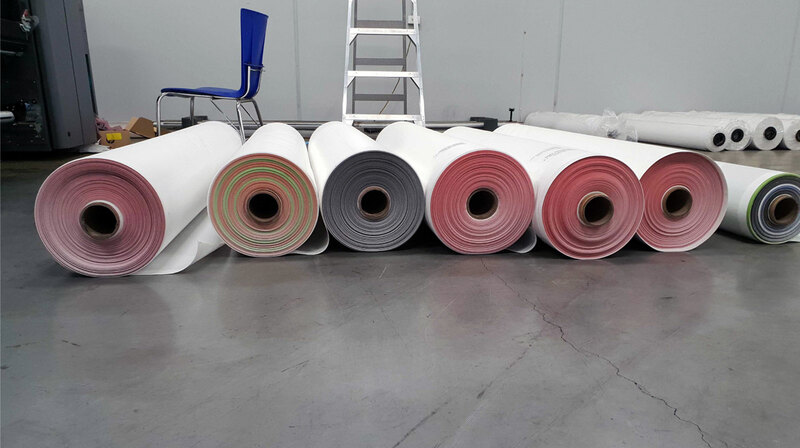 Being a trade printer and having a lot of knowledge in this area we know that one size does not fit all when it comes to the best type of material for fence banners. We understand that being tied into one way or one stock is not suitable when it comes to all of the solutions you will need to provide for fence mesh banners. See below for the range of different fence banner materials used and in what scenario they are used in. This stock is suitable for fence banners needing a more solid construction. 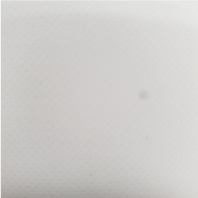 As it not perforated the whole image is printed and lands on the material, the whole image is shown. So the benefit here is for anyone who wants the maximum impact of their mesh fence panels as the most punchy print is visible. As it is a heavier stock (we offer a 510gsm), it also means the banner is going to be more durable over time. On the other hand, as this has a solid construction, it naturally does not allow any wind flow through the banner. Because of this in high wind flow area’s the banner may tear over time or cause temporary fences to fall over. Some companies use wind slits to combat this but in our testing, we have found that this weakens the banner and can cause tearing. 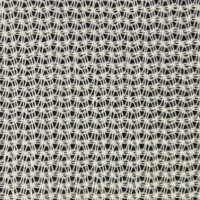 As this is a tight-knit mesh it is often referred to as a ‘premium’ mesh. Because of this more of the image is shown on the print so there is less show through compared to other mesh options. This stock typically comes in a 280gsm weight so it has a solid tensile strength. Because of the above, this stock is used more for smaller fence mesh banners as the better print visibility and strength on a smaller banner is good in most instances. It also has the longest life in outdoor conditions than other mesh options. On the flip side as this is a closer knit mesh, the compromise comes with the amount of air flow through the fence mesh panels. In high wind loads, this stock can turn into a sail as not all of the wind can flow through the banner. So typically a strong fence or install is needed when installing these banners. As this stock is made of PVC, as the dyne level of the stock drops, UV ink is susceptible to fail on this stock. At Mediapoint we print on latex inks to avoid this issue. And the inks are more environmentally friendlier as an added bonus. 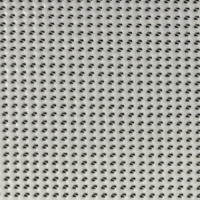 Often considered a more ‘open’ mesh this stock is perfect for longer fence mesh banners. The reason being is the stock is constructed with a 180gsm makeup which allows the most air permeability compared to any other PVC mesh fence panel options. What this means is this stock allows the most wind to flow through it which is suitable in high wind loads where there is a risk of the banner turning into a sail. This can potentially cause the banner to tear or a fence to fall over. The compromise with this stock though is due to the more open makeup of the stock, less of the print is visible. This really dulls down any colors and you are not able to get any vibrancy on any colors because of this. We also avoid the issue of ink failing on this stock by using latex inks. With UV inks, as the stock ages, there is a risk of the ink coming off. Latex inks do not have this issue and have the added benefits of being more environmentally friendlier as well. Shade Cloth has the benefit of being considered the ‘cheapest’ option of the fence banners range. It is often constructed of cotton or HDPE Mesh depending on the supplier. The print quality is decent as the knits are closer together. Where the compromise is on this stock comes down to the type of print, finishing, and strength of the product. This type of stock can typically only be printed with less environmentally friendly solvent inks. This is not as safe as the latex inks that we use. This stock also comes pre-finished with buttonhole edging. This is nowhere near as strong as hemming and eyeletting which will cause banners to tear after a bit of wind exposure. As this stock is a closer knit it does not handle wind load like a more open weave mesh to does. This is why it is considered more of a short-term banner mesh panel option. 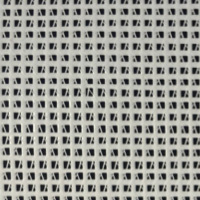 At Mediapoint, we do not offer it because of these factors and recommend our customers to look at a more open weave mesh which is not too different in price point. But it provides a host of added benefits. 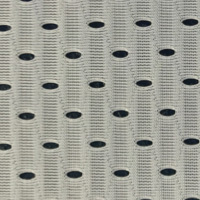 As this stock is constructed with polyester, it is often considered as a fabric mesh. Typically it has a 115gsm weight, it is the lightest option out of the mesh fence panels material outlined in this post. This makes transporting this stock the easiest out of all of the options here. Due to the makeup of the threads, a lot of the print can be shown which makes this a fairly punchy print stock. This stock is often used for outdoor events. As it is a fabric through, it can only be printed with a dye sublimation process. This is great for producing a punchy print but it is also only a short-term outdoor ink solution. Also as this is a fabric it needs to be sewn for the hem which is often a costlier process. Being a fabric as well it naturally will only hold up short-term outdoors. If you have any queries about which stock is best for your customers mesh fence panels and fence banners, then have a chat to us if the above is not clear. Also don’t forget to checkout our pricing product to get instant online pricing about some of the options we offer from the above.